Aluzinc doors are highly recommended as the doors are light weight, very strong, do not fade and require almost no maintenance or up keep – if the door is dirty you can simply hose it down with water. 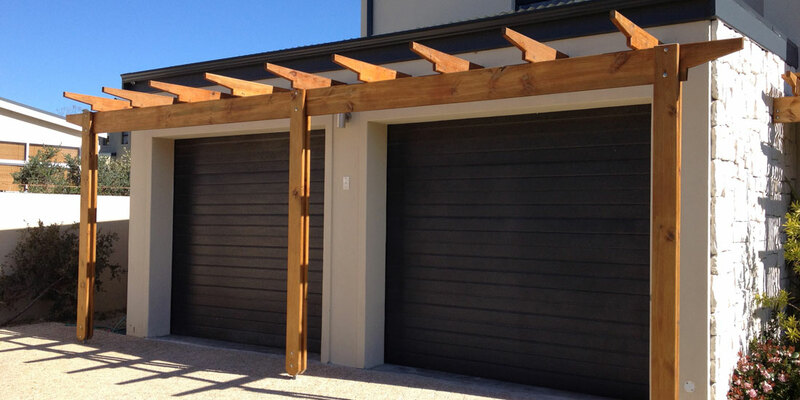 LHV Garage Doors & Gates has two different suppliers for aluzinc doors, both of whom are the top suppliers and manufacturers in this industry in the Western Cape. Each supplier uses the same aluzinc material but the wood grain finish as well as the style of the raised and fielded panels used for the doors, differs between each supplier. Supplier A uses double sided gaskets and has anti finger pinch panels. It is important to note that these are the standard opening sizes for your garage door opening, as a maximum of 100mm still will be added to these sizes to get the standard panel size of the garage door itself. 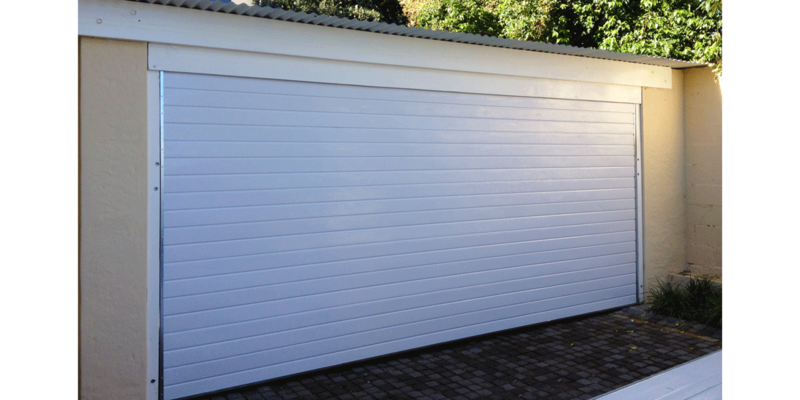 All sectional overhead doors need to overlap, on each side with a minimum of 30mm to a maximum of 50mm, on the inside side walls of the garage. The door should also overlap with 30mm at the top of the garage. The aluzinc sectional overhead doors are available in either a horizontal slatted or raised and fielded (block) panels. It is however, important to note that if you opt for raised and fielded panels, and your door is not a standard size, you should consult your installer as to whether the blocks will be cut off, either on the sides or at the top of door, in which case, you should probably have a horizontal slatted door installed. Flip over panel simply means, that when the door is in the closed position, the top panel will still be in a slanted open position, which the motor will then push closed onto the lintel. Therefore, if a flip over panel is installed, a motor is essential to the door closing fully, and in this case, it is recommended that a battery back-up be installed onto the motor. Aluzinc sectional overhead garage doors have a rubber seal inserted onto the bottom of the garage door, which allows the door to get a complete seal on the bottom floor, preventing far more dust etc, from entering the garage. All sectional overhead garage doors need to have the tracks, cables and springs regularly sprayed with silicone spray or Q20. Supplier B installs a rubber seal at the bottom of the door. The aluzinctip up doors are available in either a horizontal slatted or raised and fielded (block) panels. It is however, important to note that if you opt for raised and fielded panels, and your door is not a standard size, you should consult your installer as to whether the blocks will be cut off, either on the sides or at the top of door, in which case, you should probably have a horizontal slatted door installed. 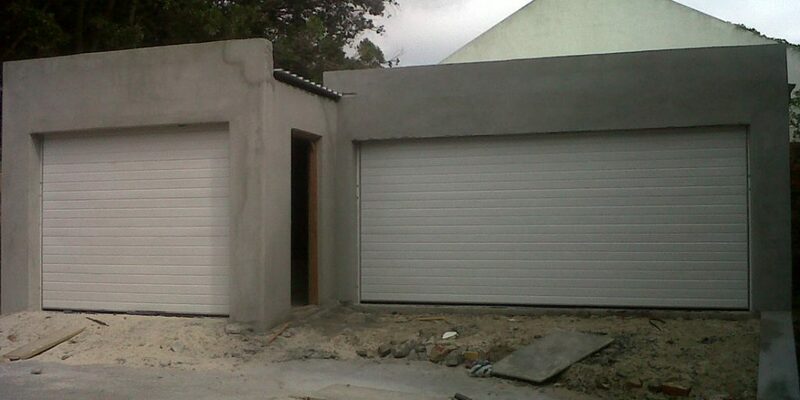 Aluzinc tip up doors have an exposed visible galvanised steel strip on the edges of the tip up garage door. Tip up doors should be installed only if your garage is not on the boundary or if there is enough space in your driveway in front of the garage, this is because a tip up door tips up and out of your garage, which means that a car or anything for that matter, cannot be parked directly in front of the garage door. Tip up garage doors need 200mm head room, from the bottom of the lintel to the bottom of the ceiling or rafters in the garage, for installation. When the aluzinc tip up door is in the open position the garage will lose +/- 100mm from its height. Single tip up garage doors are installed with a hinge and tension spring mechanism on either side of the garage door. Each hinge contains a needle pin bearing. Double tip up doors should always have two springs attached to each hinge, in order to neutralise the weight of the double door. Both these mechanisms neutralise the weight of the garage door, making it easy to manually move the door up and down. For a quote on an Aluzinc Garage Door, contact LHV Garage Doors & Gates today!